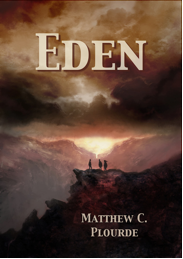 Today’s #FictionFriday interview is with Matthew C. Plourde, author of The Antaran Legacy and Eden. Welcome, Matthew! Matthew Plourde: Dessert first – you & I, sir, will get along quite nicely! My latest novel is a science fiction story called The Antaran Legacy. It has a subtitle (For Duty), but I’m thinking of re-releasing the book with a less cumbersome title. 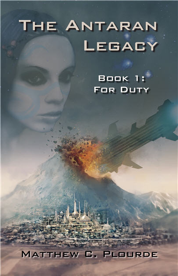 The Antaran Legacy follows the heiress to the planet of Antares as she struggles to ensure her civilization’s survival in the face of a galactic war. As with my other fiction, this one is certainly character-centric. After discovering how dangerous and exhilarating her emotions can be, she must ultimately decide between her duty and her own heart. TBB: What led you to writing Science Fiction? MP: Well, I’ve always been a fan. Some of the earliest stories I read were science fiction – Farmer, Herbert, Asimov. But, I didn’t begin The Antaran Legacy with the goal to spin a Science Fiction novel. Instead, the basic idea for a story came to me and it happened to be based in a futuristic setting. If you take away the spaceships, The Antaran Legacy can still stand on its own as a story about a royal daughter and all the tragic decisions surrounding her people’s fall. TBB: When you find an author you really like, what typically stands out about their writing to you? MP: The story. Story, story, story. Read my blog for 5 minutes and you’ll see me preaching around every corner about “story.” I believe the art of storytelling has always been an integral part of the human experience. Some authors today can tell a story, some cannot. If I get pulled into the story, I’m usually hooked and those novels stay with me through the years. 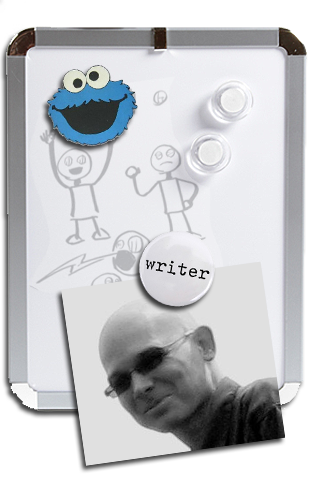 TBB: I hear writers all the time say that they “write for themselves.” Whom do you write for? Why?? MP: I receive inspiration from the world around me. Since that answer is about as generic as possible, lemme explain. The world is full of “what if’s” for all of us. The storyteller inside of me muses at these unfulfilled possibilities. What if we emerge from this fog in a different land without technology? What if zombies took over the country? What if I never met him/her? It was one of these little “what if’s” that spurned my first novel, Eden. I wondered what the Apocalypse would be like if I took some Bible passages literally. Spiraling into that “what if” fueled the entire novel, but it didn’t go anywhere until a song on the radio brought it all together. Combine “what if’s” with past experiences, music, stories and everyday life and you will find my cauldron of thought. You will find my muse. MP: Hah! I get this one often and my answer remains the same: Harry Potter. Why? Because I’d have enough money to write full-time (and buy an island to do it from). Next question! MP: I’m most proud of my adherence to my core stories, and I blog about this style of writing often. My stories flow from my mind & heart without the intervention of outlines or plot devices. The action unfolds from the characters very naturally, and I’m often surprised by what they do. I hope my readers are entertained by my worlds & characters, nothing more. TBB: Who is your favorite character, and why? MP: Probably Leto II from Frank Herbert’s God Emperor of Dune. He was a philosophical and likeable hero/villain. Herbert’s musings on government and human nature flow from Leto with every passage of dialogue. What made him special to me was the legacy & tragedy wrapped around his story. He wasn’t just a well-developed character – his desire to save humanity by becoming its ultimate villain was interlaced with everything he did/said. His sorrow and loneliness were palpable on the pages, as was his plan to save his race. Dynamic character. Great Story. Win! TBB: What part of writing do you like the most? The least? MP: I enjoy writing dialogue the most. Not only does it come easy to me, but I think it rings true on the pages. At least, I hope it does! One more dune … one more page. At times, it can seem insurmountable. MP: Time. Carving the time to write has to be the most challenging aspect of this whole endeavor. Excuses come easy, but they are always hollow. Passionate writers find the time, but it’s always a struggle. MP: Just that it’s not influenced by any forces outside of my own heart. Sure, my editor will correct my mistakes and my inner-circle will steer me in better directions – but the core story is one from storyteller to reader, nothing in-between. In today’s market of rehash movies/games and cookie-cutter novels from major publishing houses, I’m excited that the tools are available to allow writers to distribute their work. It’s an exciting time to be a writer! MP: My blog is the best starting point (links to all my books, other fiction, trailers, reviews, interviews & more)! My Amazon author page is another excellent place to start. Matthew C. Plourde is a cancer survivor and native New Englander. He is a husband and father of two children. His family called Vietnam “home” for a month while they adopted their son. Though writing is his passion, he currently works as a compliance consultant for large enterprise corporations. His shorter fiction has appeared on many different e-zines and he continues to write novels. I not a fan of book trailers- but these are great! Beautiful art work. Very fun interview!